- 6 Hooks for Looping Cables around. - Power Strip Can Be Stored. 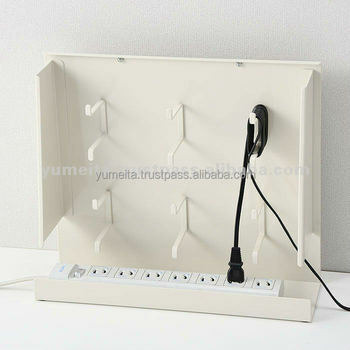 Power Strip Can be Stored & 6 Hooks Are Installed.